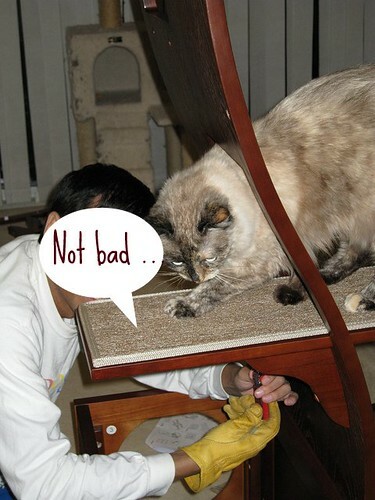 Submitted by yunyao on Monday, July 4, 2011 - 10:06. 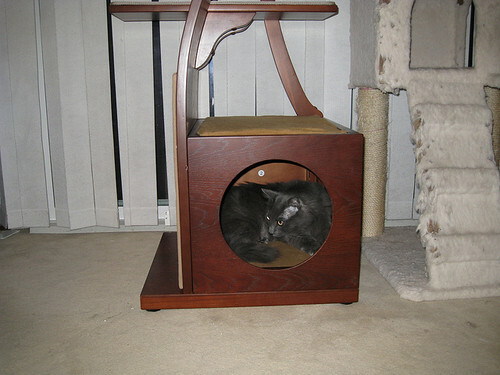 According to the online reviews, most of the cats and the cat owners like this product. So we brought one for the cats to try out. 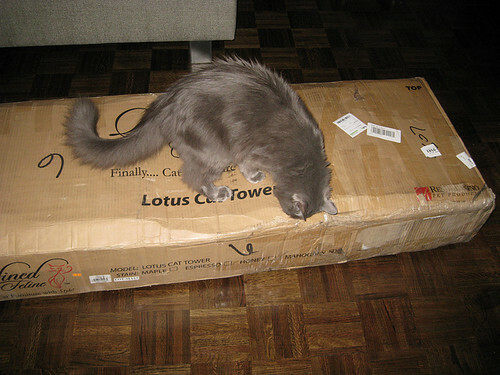 Tom was very curious to check the package out when it arrived. He pointed out some minor damage on the package itself. 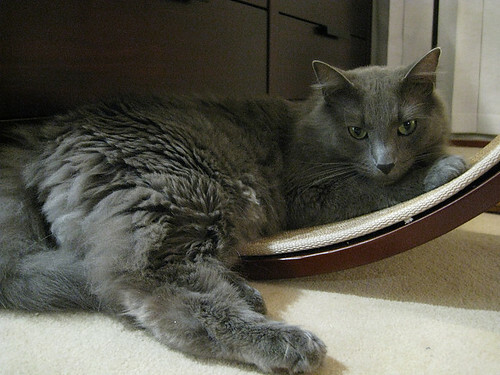 But he liked new cat tree already once we unpackaged it and immediately claimed one piece as his own. Mayori seemed to be satisfied too and kept on inspecting the installation process. Tom claimed the cube at the bottom. 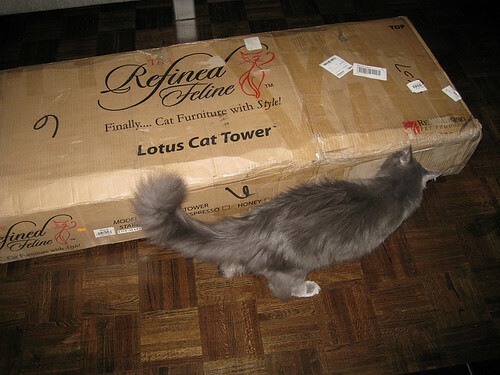 Comparing to the old cat tree, the new Refine Feline Lotus Cat Tower is obviously much nicer and looks more like a human furniture. It goes really well with the rest of our bedroom furniture. 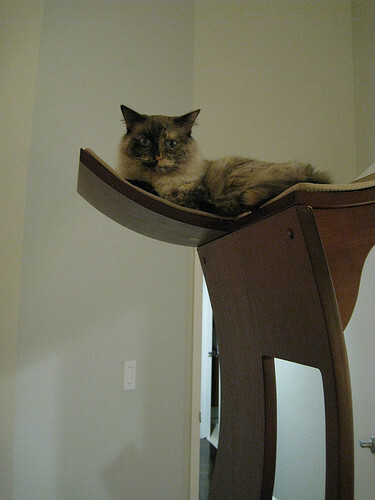 It is definitely worthy considering for one who is looking to find a cat furniture with great style. 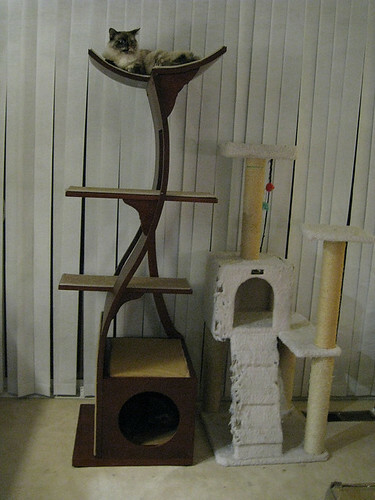 Love these cat trees, but very expensive.. They are built to last though I suppose..